Over 2 Million visitors!! 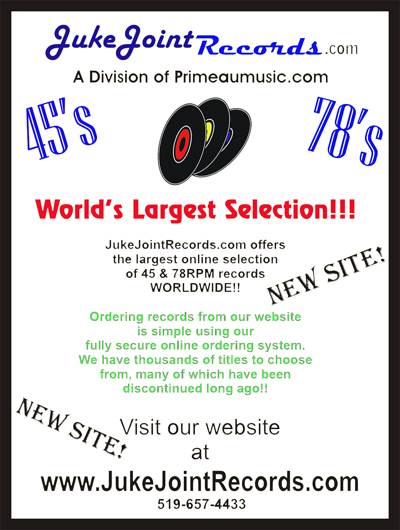 to this vintage jukebox page! 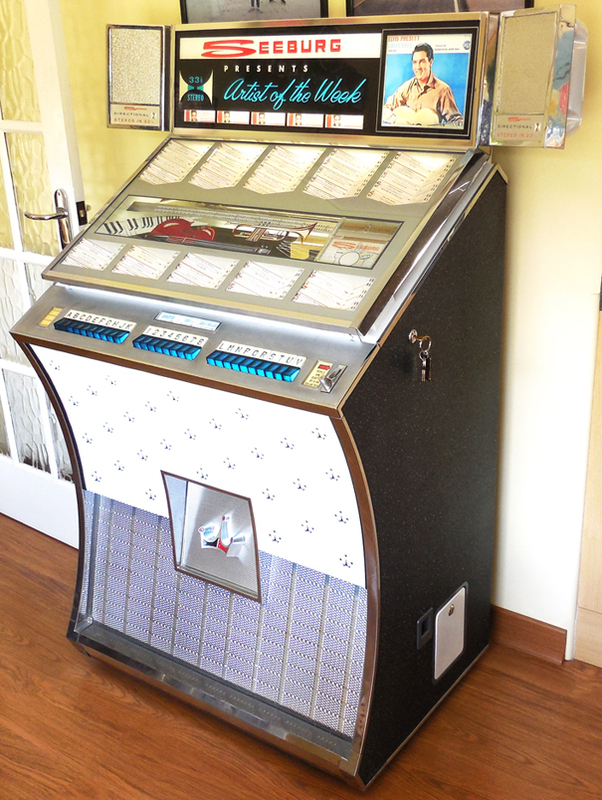 Classic Jukebox Hire in Reading, the Thames Valley, Berkshire, Oxfordshire and Surrey. Click here for more information. 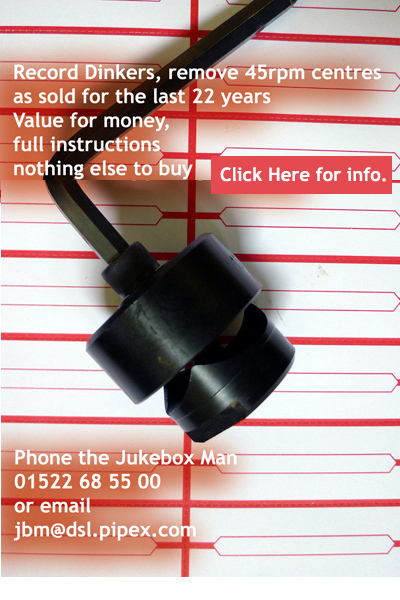 Vintage Jukebox Repairs and Service - by Geoff Young, The Jukebox Man Phone 01522 68 55 00 to discuss your requirements. 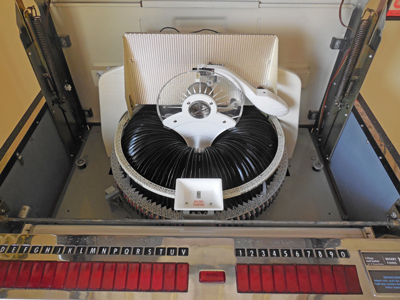 Please no N.S.M or Jupiter as I specialise in Vintage valve type technologies. Some curved glasses for other makes also in stock. 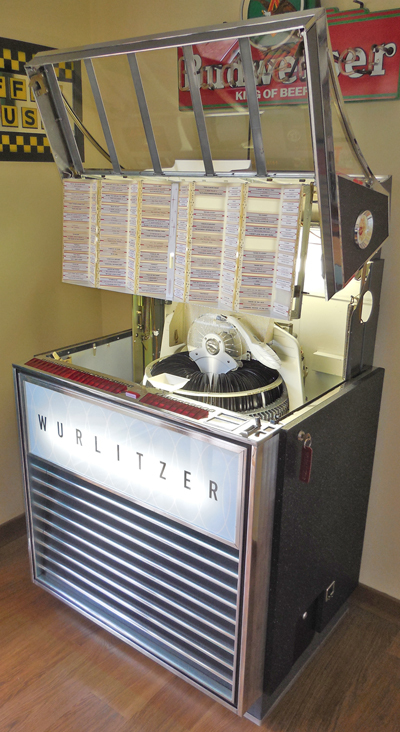 Jukebox Lighting, all sizes available - Click here. 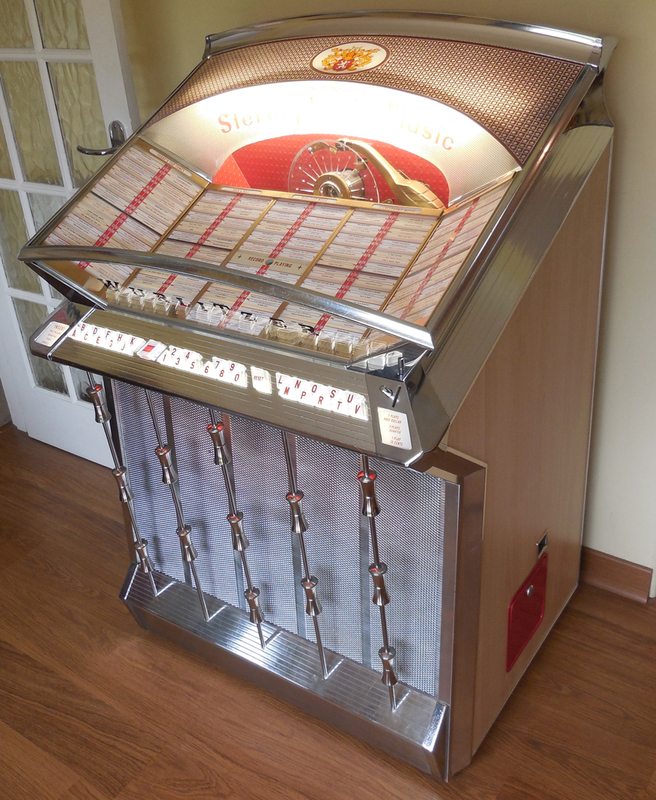 FOR SALE: Classic jukebox for sale. 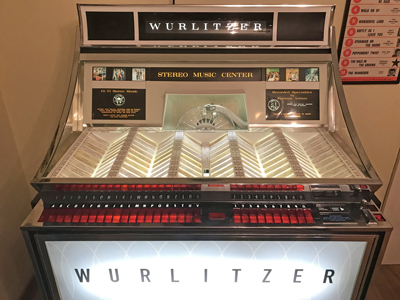 1965 Wurlitzer 3000 - 200 stereo selections. 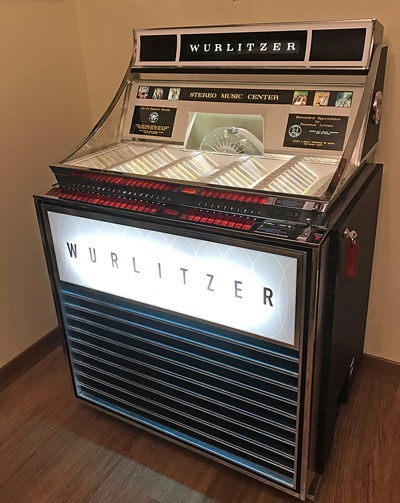 One of Wurlitzers last 'visable mechanism’ jukeboxes. An American Classic from the mid sixties. 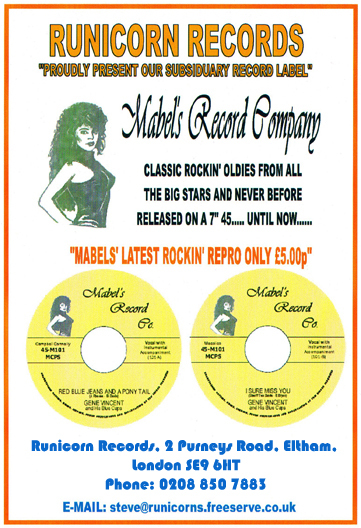 In excellent original condition, looks beautiful and plays both large and small hole 7inch 45rpm vinyl records. 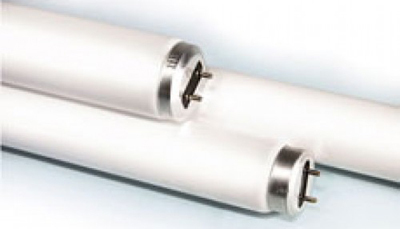 Powerful stereo sound from 5 speakers. 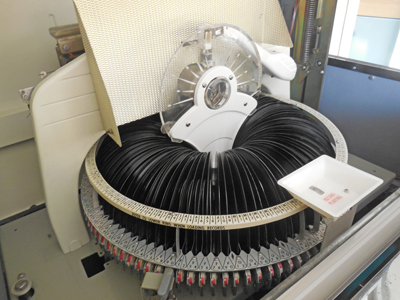 Hear your singles as they were meant to be heard! Plays both dinked and undinked records. Size: 36 ins wide x 28 ins deep x 54 ins high.